I wanna talk a little about Revival. 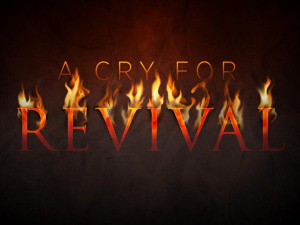 Revival is about us getting revived in our hearts and in our Spirits. The word “revive” means to bring back to life, or to restore. Remember when you first got the HOLY GHOST? I know I was very excited. I felt a strong POWER and heat starting from my heart and went throughout my body. Then I started to speak in tongues. I let myself go and I let GOD. Whatever you went through when you got the HOLY GHOST, experience it again. That will always be an exciting time in your life. Let’s keep experiencing that as we revive ourselves. Let’s raise our desire to have more of JESUS in our lives. This is what revival is all about. We need to make our relationship with JESUS stronger than ever. If you been complacent or not as close to HIM as you know you want to be or need to be then now is the time to do it. NO MORE EXCUSES. We need to fall more in love with JESUS and not just talk to HIM when you want something. I know we feel better when we spend time with HIM. When we get revived, our lives will be changed for the better because we’re getting deeper with our relationship with JESUS. Don’t let the things of the world dictate what you’re gonna do. Follow the leading of the Holy Spirit to guide you. Get revived and spend more time in prayer and reading and obeying GOD’s Word. Get revived and start using the spiritual gifts that GOD gave you. HE didn’t give you spiritual gifts to sit on them and not use them. HE wants us to use them. USE THEM. I want to encourage all of us to raise our desire to get more of what GOD has for us. I believe our desire will raise up when we get back to the basics of studying HIS WORD and spending quality time with HIM. That’s what HE wants. You and HIM alone time. When you get in the presence of GOD, HE will set your soul on fire – anytime – anyplace. We need to pray that we increase our desire. The goodness of GOD should raise our desire for HIM. Hasn’t GOD been good to all of us? More than we could ever deserve? We should have died in our sins but the Grace of GOD found us in the muck and mire we were in. The mercy of GOD washed over us and the Blood of JESUS cleansed us, and the SPIRIT of GOD filled us.